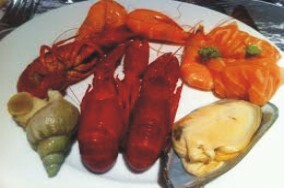 Seafood ranges from saltwater and freshwater fish to deep water shellfish, and it is a beloved delicacy by most people in all parts of the world. Seafood is rich in nutrients, serves as a good source of protein, vitamins and minerals and is rich in omega-3 fatty acids and it also assist in keeping common diseases at bay. In this post i will be revealing to you some of the essential health benefits of eating seafood. Though the specifics depend upon which type seafood you consume, seafood is known for being a natural source of vitamins and minerals. B-complex vitamins, vitamin D and vitamin B.
Seafood’s greatest health benefit lies in its abundant source of omega-3 fatty acids that significantly reduce cardiovascular risks. Eating seafood on a regular basis has been proven to ease the symptoms of arthritis. Sea fish and shellfish can boost your night vision. The omega-3 fatty acids in seafood protect the skin against UV rays from the sun and can help reduce the prevalence of acne. Seafood omega-3s may lower the risk of developing Alzheimer’s disease. A sufficient intake of omega-3 fatty acids promotes proper brain growth in infants and children. Consuming more seafood can help you have more positive outlook on life. Seafood consumption aid in reducing preterm delivery and is essential for central nervous system development. Improves immune function: Increased omega-3 consumption can reduce the symptoms of asthma and certain allergies.